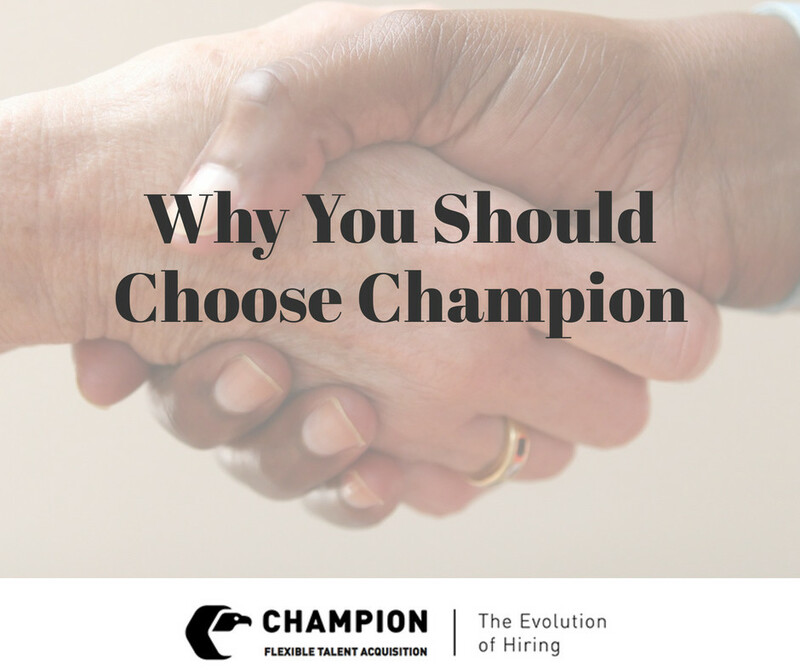 Champion Personnel Systems has 55 years of experience in staffing services and with over 12,000 of our customers hiring client through us. We have placed over 100,000 people in direct hire and filled over four million temporary assignments or temporary to permanent jobs. So, we can say pretty confidently that we know what we are doing! What really sets us apart from the competition though is that we have a system. Whereas, most employment services do not have a system. Instead, they take a job and the people, and then they try to throw them together just to get billing. This approach to our industry doesn't focus on the needs of the customers or their candidates, just the staffing agencies' greed. Knowing this, we made a decision a long time ago to be a staffing and consulting service instead of a typical "employment agency," where they don't truly serve their clients and their customers. Our many years of experience allow us to better aid you. We are able to reduce hiring issues for our clients, which increases their productivity by helping the client retain the people they want. The real key concern of the job seeker is whether they will be happy or not at a new job. That is why we say, "a better job, a better life." We'll find you a good job and help you make it a better job. Therefore, you will have the choices that will make a better life. Our system is made for the clients and the candidates, so we have effective and efficient hiring and retention process in place for our clients. At Champion Personnel Systems we take a different and more effective approach to solving your staffing needs. We take a consultative approach to get results for both of our clients and their candidate. If you need help staffing your business, a consultation, or have any questions about who we are and why you should choose us, then please contact us and let us help you achieve a better life!